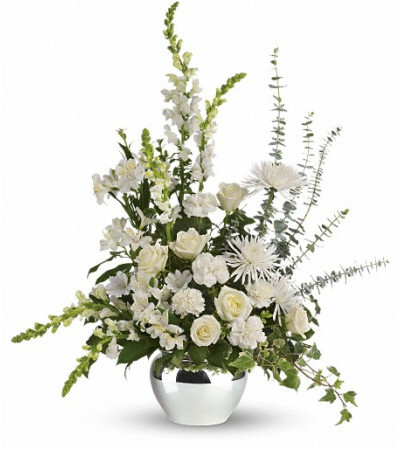 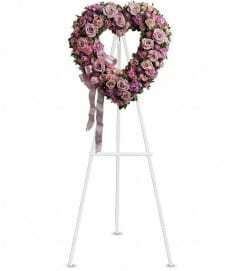 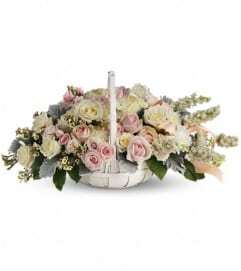 An elegant expression of caring, this beautiful bouquet of white roses and other favorites in a silver jardiniere vase will be a lovely addition to the service. 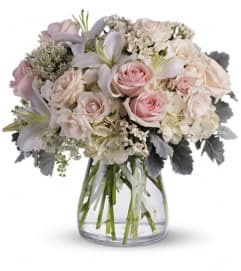 The exquisite bouquet includes white roses, white alstroemeria, white carnations, white snapdragons and white spider chrysanthemums, accented with assorted greenery. 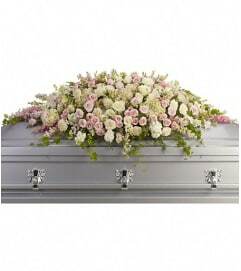 Delivered in a silver jardinere vase.